Medical Program: What Builds Trusting Doctor-Patient Relationships in Psoriasis Care? From the ReachMD studios, I’m Dr. Matt Birnholz. On this episode, we’ll hear from Dr. Jonathan Weiss, dermatologist and adjunct assistant clinical professor of Dermatology at Emory University School of Medicine. 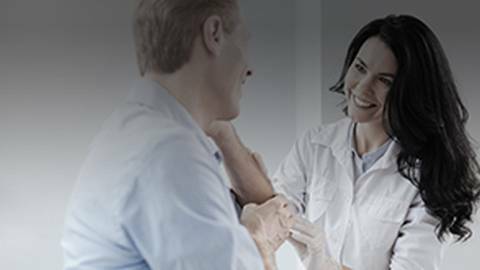 Dr. Weiss shares some key strategies to improving doctor-patient relationships in psoriasis care. Here’s Dr. Weiss from his clinical practice in Atlanta, Georgia. So, when I am seeing a psoriasis patient, I think most importantly of the very first visit. I think it’s essential at the first visit to take your time with the new psoriasis patient to let them know that you understand their disease, that you want to work hand-in-hand with them, and that you hear them out and let them express to you the important aspects of their psoriasis to them and the important aspects of getting it under control. By creating a trusting relationship at the first visit, you can really make headway moving forward with your psoriasis patients. At subsequent visits after the first psoriasis visit for a patient, I also think it’s essential to listen to them and hear what their concerns are about the treatment that you have prescribed. While you may be very pleased with the results, the patient may not be nearly as pleased with those results, and so you have to go with what they are feeling, especially if you have a lot of therapeutic options available to you. 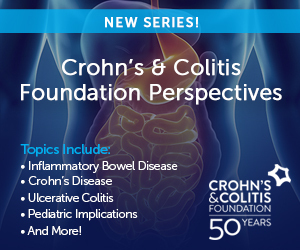 There may be times you don’t have a lot of options available to you and the patient may need to listen to your point of view, but it is the patient’s disease, and they need to feel that they have an impact on choosing their treatment course. That was Dr. Jonathan Weiss from Emory University School of Medicine. From the studios at ReachMD, I’m Dr. Matt Birnholz, and thanks for listening. The relationship between you and your patients has the ability to change the trajectory of psoriasis care. So how can we improve the connection? We all strive to create strong ties with our patients, but creating honest communication and building trust among our patients can be difficult. Dr. Jonathan Weiss, a dermatologist from Atlanta, Georgia, shares the key strategies he uses when working with patients at every point of care.